Headington Singers is a community choir in Oxford singing the great choral classics (and much more) for the sheer love of it. We usually put on three concerts a year. Follow the links above to read about forthcoming concerts or how to join us. 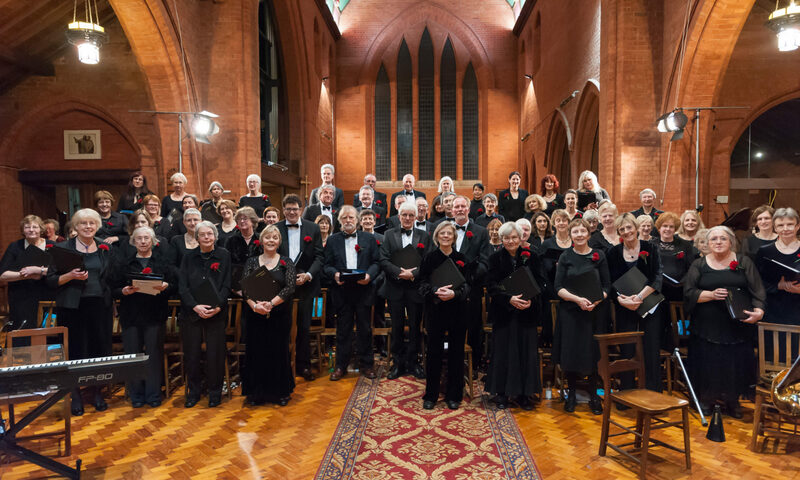 We’re back on song on Tuesday 30 April at 7.30pm when we start rehearsing a programme of songs, including the lovely Vaughan Williams Five mystical songs. Read more about the music and rehearsals on the Notice board. At All Saints’ Church, Lime Walk, Headington, as usual. Watch for announcements! We were a little unsure about whether we could do justice to a jazz piece – Will Todd’s Mass in blue. We need not have worried – our performance brought many in the audience to their feet! Our first-ever standing ovation?! What made it such a thrilling performance was Georgie Malcolm’s superb jazz soprano singing, a terrific jazz quartet (Ollie Nicholls on alto sax, Elliott Rooney on piano, Esther Ng on double bass and Darren Hasson-Davis on drums) and Sally’s energetic interpretation of the score. The Tudor anthems (Byrd, Tallis, Dowland and the likes) just proved how versatile we are! We are most grateful to our viol players – Lorna Watson, Ryonfa Lee and Mary MacRobert. For copyright reasons we can’t use recordings of Mass in blue. The photo shows Georgie Malcolm – we think you’ll be hearing that name again ….